The Advisory Committee on Pro Se Services in the Circuit Court of Cook County was formed as a joint initiative of the CBF and the Circuit Court in January, 2009 in response to the accelerating trend of people without lawyers coming into the Cook County courts and attempting to resolve often complex legal matters by handling their own proceedings. The Committee works to improve coordination and effectiveness of services to unrepresented litigants, drawing on the experience and expertise of the diverse groups that interact with or provide services to people coming into the court without lawyers. The Committee provides oversight and strategic guidance regarding the various services provided to unrepresented litigants in the Circuit Court, makes recommendations to the Circuit Court and other relevant stakeholders about ways to improve the experience for people without lawyers, and helps to ensure coordination and maximum utilization of other relevant services. Co-chaired by Judge Sharon Sullivan, Presiding Judge for the County Division, and Judge Alison Conlon of the Circuit Court, the Committee includes judges and other court personnel—including representatives from the Clerk’s office, the Sheriff’s office and the Law Library—legal aid lawyers, private attorneys, and other interested stakeholders. The committee meets regularly and gets updates on trends and emerging issues in the Circuit Court impacting people without lawyers, develops recommendations for programs or policies that can improve or expand upon existing resources, and develops resources to assist unrepresented litigants and the stakeholders who serve them. The Committee’s most recent focus has been a comprehensive examination and evaluation of the legal referral resources and legal information provided by stakeholders in the courthouse and websites throughout Cook County. This “audit” confirmed that inconsistent and often out-of-date information was being provided to people without lawyers throughout the system. The first initiative resulting from this project was to design a one-page resource and supporting webpage with Cook County specific information about how to find free and affordable legal help, answers to commonly asked questions, and supporting resources. The Committee will continue to refine those resources and to develop consistent web-based information. Finally, the Committee will conduct significant outreach to judges, court personnel and other stakeholders on the resources that are available and how to connect people without lawyers to those resources. Based on a recommendation from the Committee, the CBF partnered with three graduate students from the IIT Institute of Design to study and develop recommendations for a central starting place/resource center for people without lawyers at or near the Daley Center. After conducting in-depth observation, research and analysis on existing resources and services for people without lawyers, the design team developed a comprehensive report and recommendation: Increasing access to justice for people without lawyers. 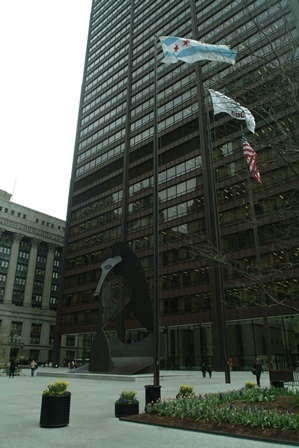 The report identified the many challenges and barriers people coming into the courts on their own face in the current system, and made a number of recommendations for a potential central resource center in the Daley Center as well as a number of other recommendations for making the courthouse more welcoming and user-friendly for people coming to court on their own. While many of these recommendations will require longer-term planning to adopt, the report played a key role in the final planning and launch of the new Circuit Court Resource Center for People without Lawyers on the concourse level of the Daley Center, which opened in 2014 as a joint initiative of the CBF, the Circuit Court and other partner organizations. Recognizing the challenges of evaluating brief services to people who are usually just beginning their court process, the Committee helped develop and refine evaluation templates for both court-based legal advice desks and self-help centers that provide information and resources. The Committee also regularly gets updates and identifies trends and potential areas of concern for the advice desks and self-help centers. Recognizing that many of the challenges that unrepresented litigants face in Cook County could only be solved through statewide solutions led by the Supreme Court, in 2012 the Committee developed and approved a proposal for the Statewide Advisory Committee on Unrepresented Litigants. This proposal eventually was broadened in partnership with the Illinois Coalition for Equal Justice and became the proposal to create the Illinois Supreme Court Commission on Access to Justice, which the Supreme Court established in 2013. The CBF and Committee have worked in close partnership with the Commission from the start, and now also work closely with the new Civil Division of the Administrative Office of the Illinois Courts that was created to institutionalize and expand upon some of the Commission’s major initiatives.